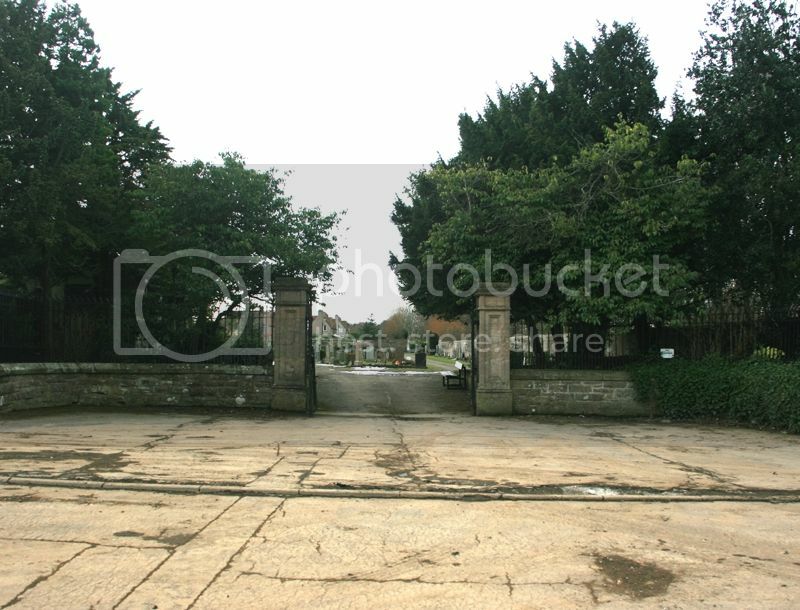 A small and well maintained cemetery. Plenty parking outside the main gates. Hawthornden Cemetery is behind some new houses (under construction at the moment) down a lane on the right as you enter Rosewell village. Grave Reference: Sec. 3. Grave 215. 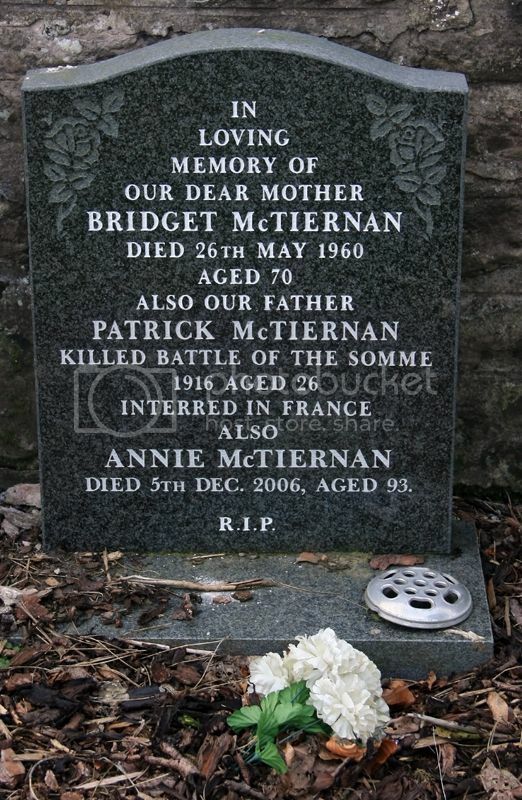 Additional Information: Son of James and Annie Carden of Bonnyrigg. Grave Reference: I. 100. (near East boundary). Grave Reference: Sec. 2. Grave 162. Additional Information: Husband of Marion Simpson Herbert of Newtongrange. Grave Reference: Sec. 4. Grave 459. Additional Information: Son of Henry W. Morris and Mary G. Morris of Rosewell. 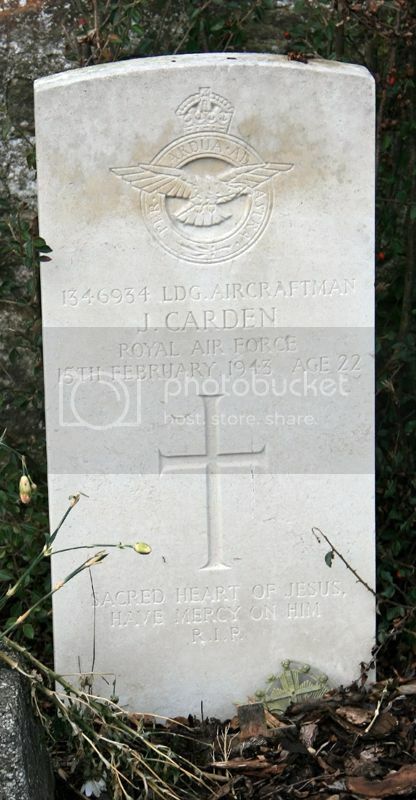 Posted: Wed Feb 04, 2015 3:33 pm Post subject: RENWICK, Archibald W.
Grave Reference: V. E. 32. 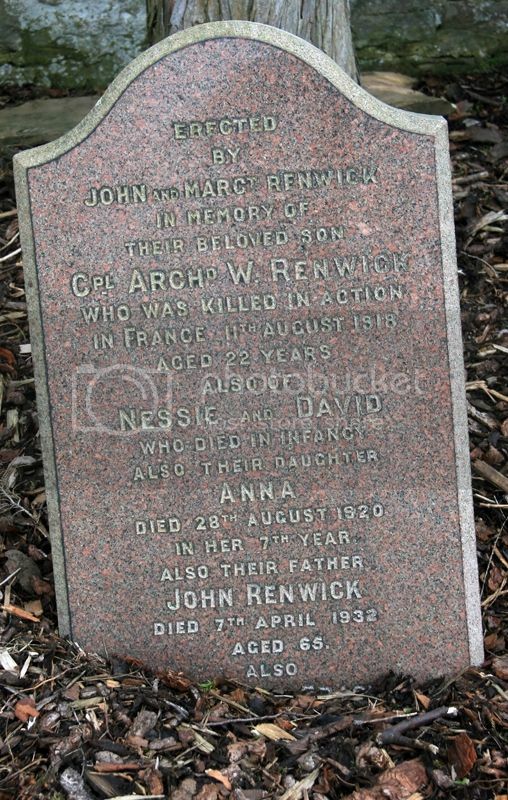 Additional Information: Son of Mr. J. Renwick of 18 Armiston Place, Bonnyrigg, Midlothian. Grave Reference: IV. F. 21. Posted: Wed Feb 04, 2015 3:57 pm Post subject: SMITH, Robert A. 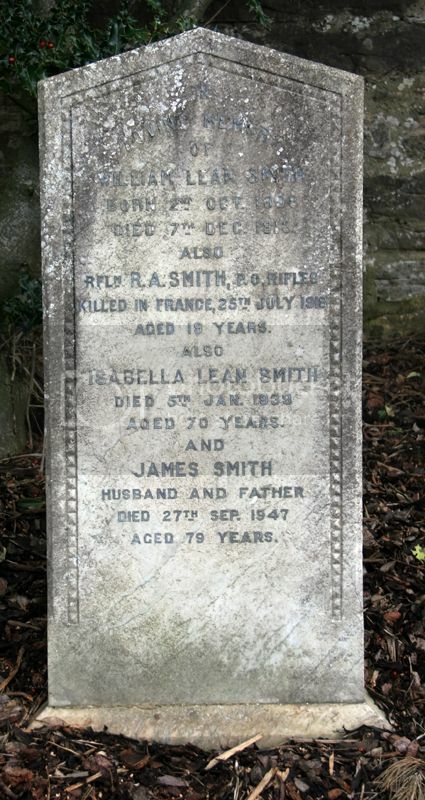 Additional Information: Son of James and Isabella Lean Smith of The Post Office, Rosewell, Edinburgh. Grave Reference: I. H. 34. 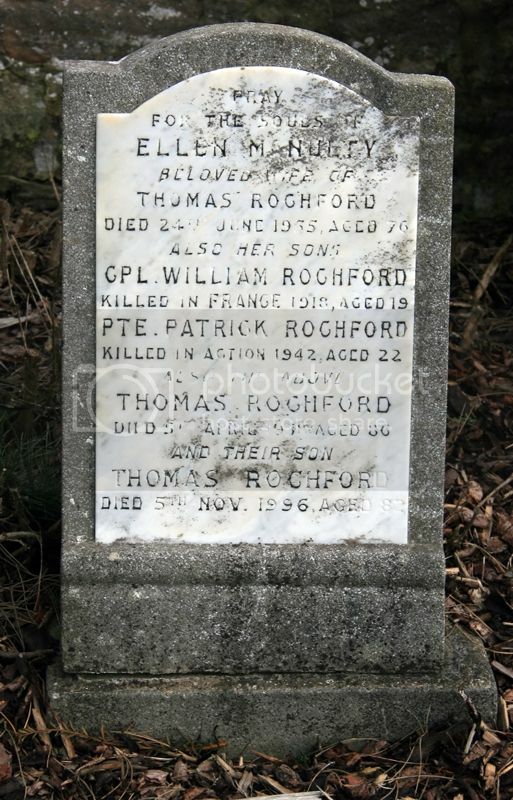 Additional Information: Son of Mr. and Mrs. Thomas Rochford of 11 Lothian Street, Rosewell, Midlothian. Grave Reference: XXII. H. 22. 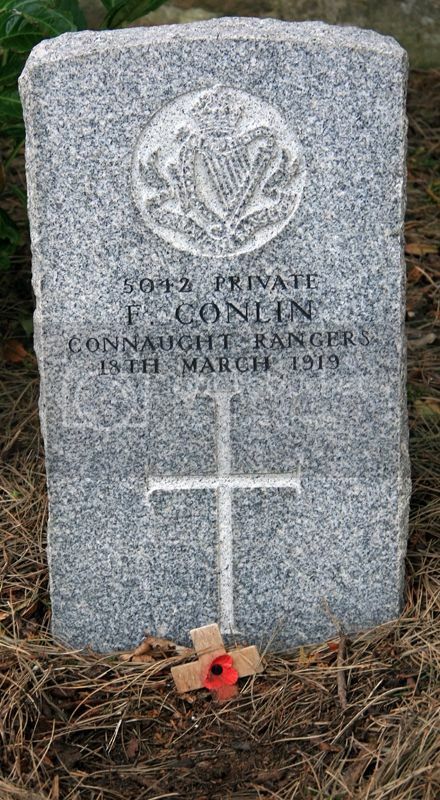 Additional Information: Son of Thomas and Helen Rochford of Rosewell, Midlothian. Grave Reference: II. C. 56. Grave Reference: IX. F. 1. 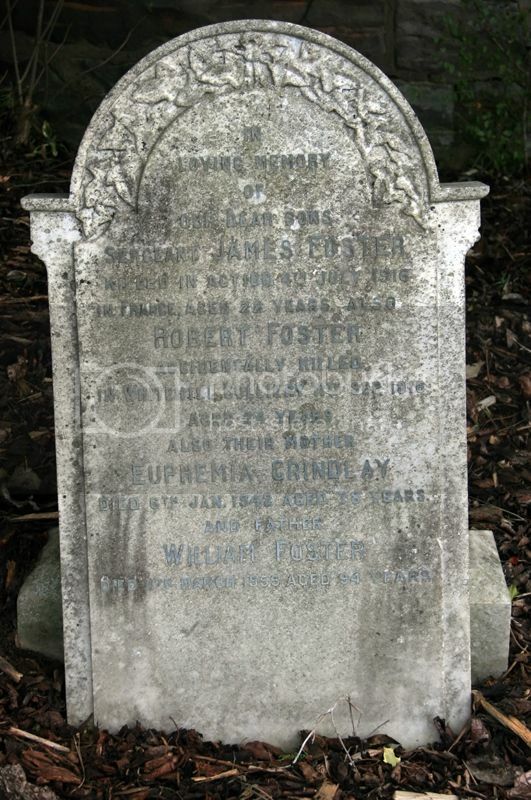 Additional Information: Son of James Walker Scott and Margaret Wilson Scott; Husband of Mary Evelyn Scott of Annan, Dumfriesshire.